WIDTH – Parallel to within 0.005” from end to end. THICKNESS – Parallel to within 0.003” from end to end. No variation greater than 0.001” within any 12” length. 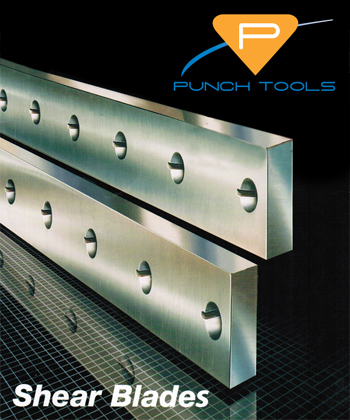 Punch Tools provides grinding services for your shear blades. We have field technicians who can remove your old blades and reinstall the blades once they are sharpened.